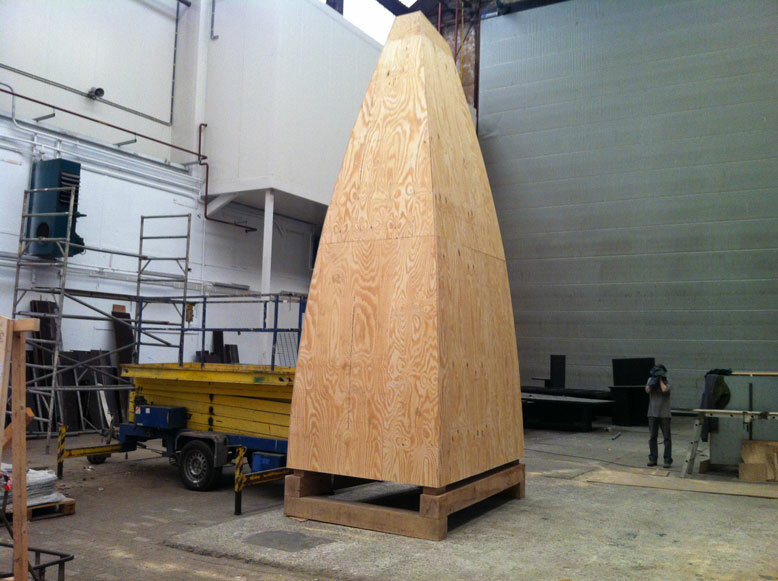 Ronald van der Meijs: Wooden construction of new sculpture is finished. Wooden construction of new sculpture is finished. 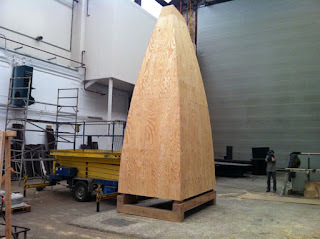 The wooden 5,8 m high construction is finished. The second part is to install the slates on the tower.